Nancy Brooks is a strategic FinTech, electronic payments, consumer financial services regulatory advisor and highly experienced commercial transactional lawyer. She is a creative, business-oriented problem-solver who distills complex legal issues into actionable strategies and effectively navigates the legal/regulatory/compliance environment. Nancy has extensive experience in international electronic payment transactions and payment networks, money transmitter licensing, credit/debit/prepaid products, technology and IP, regulated consumer financial services, and negotiating strategic transactions, such as M&A, complex financing arrangements, and licensing. 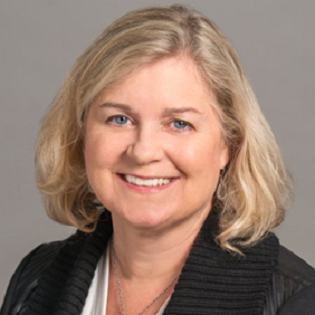 She also has led the transformation of the contracting process for healthcare and financial services organizations through process re-engineering, capture of data and metrics, use of automated tools, and development of standardized agreements and playbooks. Please see Nancy's latest article "Payments Innovation and Consumer Protection - Revisiting the 2016 Prepaid Card Rule Amendments." Panel Discussion: "Consumer Protection and Payments Innovation Are Regulatory Reforms Needed?" ABA Consumer Financial Services Committee Meeting, January 11, 2019. U.S. Faster Payments Council: Nancy is SRC's representative on the U.S. Faster Payments Council, an industry organization focused on fostering ubiquitous, secure, faster payments ecosystem in the U.S. This follows Nancy's work as an Advisor on the Federal Reserve's Payment Rules Laws Working Group and Secure Payments Committee. Assisting FinTech growth stage companies with business-oriented, pragmatic, seasoned general counsel advice, strategic transaction negotiation assistance, consumer financial services regulatory advice, and assistance navigating the risk and compliance expectations of financial institution counterparties. Leveraging extensive career experience with payment networks and electronic payment transactions to structure and negotiate transactions and advise on laws and rules applicable to mobile and digital wallets, innovative electronic payment transactions, payment networks, money transmitter licensing, payment service providers enabling P-to-P payments, tokenization agreements, domestic and international acquiring and processing agreements, merchant agreements, issuer agreements, and B-to-B payment agreements. Consumer financial services regulatory advisory and transactional assistance related to issuance and servicing of credit/debit/prepaid card products. Structuring and negotiating complex commercial transactions, including M&A, complex financing, software and platform licensing arrangements, and third-party service provider agreements. Transforming contract process operations for healthcare and financial services organizations through process re-engineering, capture of data and metrics, use of automated tools, and development of standardized agreements and playbooks. Mobile wallet and digital payment agreements with Apple, PayPal and API providers, growth-stage FinTechs, tokenization agreements, EMV licensing agreements, B-to-B payment agreements, international network-to-network agreements with networks in Canada, China, Japan, UK, India and Korea, and international acquiring and processing agreements. Acquisition and disposition of Italian credit card issuer and Slovenian data processor. Negotiation of $100 million default insurance policy. Negotiation of $500 million secured lending agreements and large debtor-in-possession financing agreements. Over 25 years of experience in regulated financial services, including 10+ years in international payments and payment networks and 10 years in the commodities industry. Chief legal counsel to top 10 credit card issuer and General Counsel to the Clearinghouse for the Chicago Board of Trade; achieved favorable results on CFTC, CFPB, Federal Reserve, and FDIC examinations of supported businesses. Nancy has served as in-house General Counsel and Corporate Secretary. She also has served on senior in-house risk governance committees and regularly advised on third-party risk management and oversight in regulated financial services. Under Nancy’s leadership, her in-house contract processing team saved 1,800 hours of time and 35% in outside counsel expense in the first year of operation. The same team experienced a year-on-year 20% increase in productivity.